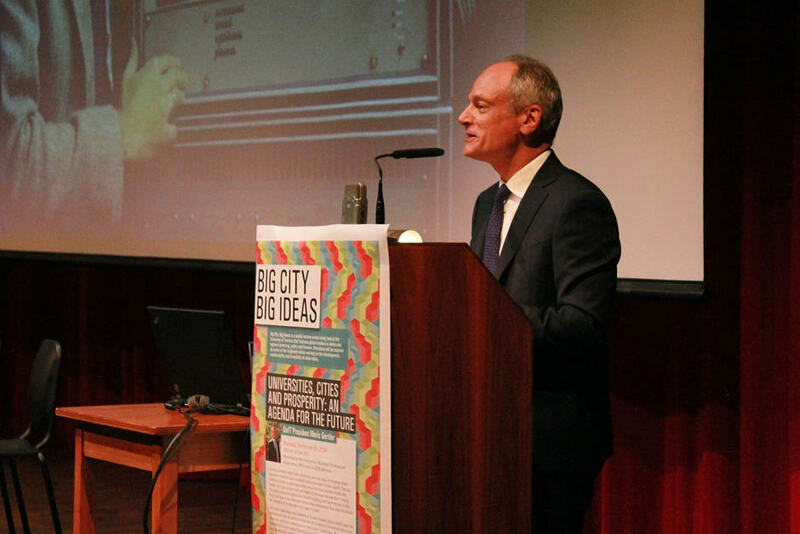 As the 2015–2016 academic year comes to a close, The Varsity sits down with Meric Gertler, president of the University of Toronto, to have a candid conversation about some of the most prominent campus issues. The Varsity: My first question is do you think that education is a right? Meric Gertler: Do I think that education is a right? I believe that societies have an interest and an obligation to ensure that as many of its members as possible can be educated, so, you know, my objective would be very much in line with the policy of this university, which is that anyone who is academically qualified should not be prevented from entering a program or completing a program for reasons related to financial need. So there’s a pretty strong values statement underlying that position. TV: So with that in mind, would you support the idea of free tuition? MG: I would support the idea of free tuition for those students and their families who need it. It makes no sense to have a blanket free tuition policy, because you’d end up subsidizing a large number of students and their families who don’t need the assistance, so I would much rather that we allocate as much of our public resources as possible to those that are most in need. Having said that, there are good reasons why a portion of every student’s education cost should be paid for by the state, i.e, by the public sector, because there are public benefits that accrue to society when we educate an individual student. So there are private benefits the student enjoys in terms of their lifelong learnings and their lifetime satisfaction, but there are also social benefits, so it makes sense for the cost of education to be shared in that regard. TV: Do you think that regular tuition increases are the best kind of long-term strategy to combat lack of funding? MG: I’d rather not answer that in the abstract. I think that — let’s relate it to the context in Ontario, where we have seen many years where the provincial government has, in my view, not fulfilled its responsibility to underwrite the cost of education through the grant that it gives to the universities for each student. So my druthers, my preference, would be to see those grant transfers going up, so that we could hold the line on tuition fees or pass through smaller fees. So you know, that would be my preference. The fact that they have been unwilling or unable to do that has largely explained why we have had to bring in the tuition increases that we have. That said, this university I think has done a very good job, through fundraising and other commitments that it has made, to enable students who lack the financial means to be admitted to the university and also to complete programs. And I think that the recent proposals in the last provincial budget, with respect to repackaging financial aid and restructuring, are a welcome move because I do think that they will simplify and clarify the process by which students obtain financial aid and will help encourage a larger number of otherwise qualified students to apply when they may not have had in the past. TV: Do you have any plans to strike an ad-hoc committee to address the possibility of boycott, divestment and sanctions at U of T? MG: Could you say that again? MG: Because we have been very clear on our position with regard to that issue. We feel that it makes little sense to support the idea of boycotting interaction with an entire nation, that it is far more sensible to encourage those who want to make solid evidence-based arguments in opposition to current policies about particular government to do so, both in Israel and here, if they feel strongly about it. It makes sense for us to be a place, for the University of Toronto to be a place, where civil discussions of pressing issues around the Middle East, for example, can take place, and where [we] hopefully generate more light than heat, where we can really advance understanding of the issues and hopefully advance progress towards reconciliation of the different views. That to me is the appropriate role for the university with regard to these issues. TV: What would you say to students who would argue that, by following that policy, the University of Toronto would be complicit in human rights violations? TV: …What’s your relationship with the University of Toronto [Asset Management Corporation (UTAM)]? MG: We are, I guess, the sole shareholders in UTAM, so it is an arms-length corporation from the university, which is solely owned by the university. It is governed by a board and I sit on that board. It is otherwise responsible for really upholding the fiduciary duty on behalf of the beneficiaries. So the beneficiaries are the members of the pension plan, and those that benefit from the payments from the endowments, so that would be the members of the university community at large. TV: Graduate student workers have been clamouring for over five years for funding to be increased at minimum to the low income cut-off for Ontario. Has the University of Toronto done this? MG: So, this too is a question that needs to be set into a larger context. 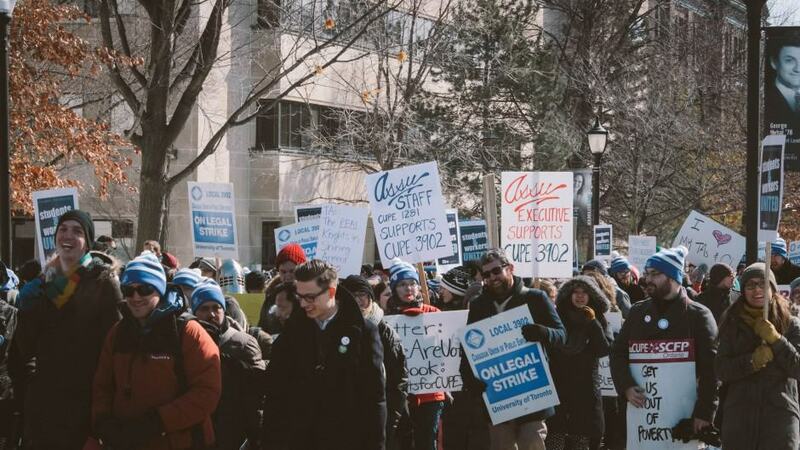 The issues that were underlying the strike last year were many and varied. Some of them speak directly to funding, and I think very clearly the university is engaged in a pretty extensive conversation about what we can do to raise financial support for graduate students. I think that conversation naturally implicates the various different divisions of the university that admit graduate students, in line with the budget model that we have had in place for eight or nine years, where the bulk of revenues that come into the university accrue to those faculties, those divisions. Where the decisions about how those revenues are spent are made at that level, in line with decisions about the nature of academic programs. So what we’re seeing now is a lot of discussions happening at the level of individual deans, coordinated by the dean of the School of Graduate Studies. But you know, there are other issues related to that, that I think contributed to the strike that we had last year and the unhappiness that was expressed by many members of the community at that time, such as how well we support our graduate students by non-financial means, and by that, I mean how well we enable them to make proper progress through graduate programs, in as little time as possible while still of course ensuring a high-quality outcome, how well we support them in terms of their career development and professional development and prepare them for their transition from graduate studies to whatever comes next. [When] it comes to whatever comes next, we need to recognize that while for somewhere between a quarter and a half of our graduating doctoral students, that usually means an academic position and an academic career path. For the other half to three quarters, it actually means a different kind of career path, and we haven’t really done a very good job up ’til now preparing our students to consider multiple career paths and to prepare them for non-academic careers, so this too is a conversation which is really gathering steam. Additional concerns would relate to things like transparency: how clearly and effectively we communicate with graduate students at the point where they are entering graduate programs, or even at the point where they are considering applying to graduate programs. Things like, what are the actual levels of funding available for graduate students in these programs? What are the sources of those funds? How long will the program be, on average? And what are placement rates for students when they graduate? So we’ve actually done quite a lot already and the School of Graduate Studies has adopted a consistent set of indicators and metrics that are now posted publicly for every graduate program in the University of Toronto and that’s a huge gain. And related to that, we want to make sure that every one of our graduate units employs best practices when it comes to telling our graduate students, in a timely way, what form of funding they will have and when they can expect to receive it, so students can plan with much less uncertainty and anxiety then they’ve had before. So many, many changes are underway as a result of the strike. TV: U of T recently has taken over food services. What’s your plan to protect the rights of food service workers on campus? MG: So there, our goal is to welcome the workers who were previously employed by Aramark. The objective of this change is really to improve the quality of food service on campus. This is really an example of in-sourcing, so that we can reassert control over how food services are delivered. I’m a foodie myself, I believe that the quality of what we eat has a direct bearing on how productive we are as a community and how attractive U of T is as a place to come and study or to work, and I think that the move makes a lot of sense. This was not designed as a plan to fire a bunch of workers, so we plan to transition the workers from Aramark to U of T. They will, I gather, be changing unions as a result. UNITE HERE will be — is their former union and they’re going to be, I guess, moving to a different union. That is an agreement that was worked out between the unions themselves and we don’t play a role in that particular process. TV: What’s your favourite food? I’m curious. MG: “I am an omnivore, so I love to — and I’ve said this in public before — I love to go along streets in places like Scarborough, going east on Lawrence, where you can find seven different versions of Chinese food, Malaysian food, Middle Eastern food, of every possible variety. Japanese, you name it, Hakka, sort of hybrid cuisines, which are really interesting. I spend a lot of time eating in Scarborough actually, for that reason. TV: Have you had any meetings with the Black Liberation Collective? MG: Not me directly, although Angela Hildyard, our vice president for human resources & equity, and I believe Sandy Welsh, our vice provost, students have met with them. And I know Sandy Hudson very well from her days as a leader in Arts & Science and of course as a governor at Governing Council, and I have certainly followed very closely the conversations that are underway and the issues that Black Lives Matter have put on the table. TV: So are there plans to permit students to do exchanges to universities in Africa? MG: That’s a great question. I can’t say that there are any current plans, but let me relate that to the sort of conversations that are underway around international strategy for the university,where I’ve been arguing that we need to deepen and strengthen partnerships with key universities around the world. And as I have presented that idea around the university, people have responded very positively and one of the reactions has been ‘well, let’s make sure we go beyond the usual suspects you know, those universities that are in the Top 50 of The Times’ Higher Education rankings. Let’s consider emerging markets and nations that are really developing quickly, but with whom we have very few linkages, and Africa is often mentioned in that regard and I would be very interested in pursuing prospects there. At the same time — and this is true for wherever we partner — if it comes to students abroad and student mobility, we have to ensure safety and so we have very clear guidelines around those issues, which we will have to respect when we develop exchange programs. TV: What do you feel is your lasting project for U of T? MG: Well, I am very passionate about a few things. First and foremost, though, I’ve spent a lot of time as dean of Arts & Science and now as president, really thinking hard about undergraduate education and how we can ensure that our students are really well-prepared for a lifetime of success. I’ve just spent the morning, actually, with presidents from across the country under the auspices of universities — Canada’s having their semi-annual meeting here in Toronto — and we spent time, actually with the bank president, Dave McKay from RBC, talking about this very issue: what kinds of competencies do our students need to succeed in life after they leave university? I’m thrilled to report that the consensus was that it comes down to the kinds of things that we’ve actually been focusing on a lot, certainly in Arts & Science and elsewhere across the university. It’s communication skills, it is the ability to solve problems and to think critically, to put together arguments effectively whether you’re using qualitative or quantitative forms of evidence, to work well in teams. These sort of competencies which are kind of, in many ways, orthogonal to the subject matter of the discipline that you’re studying, but where we need to ensure that all students in whatever program they pursue have an opportunity to develop these capacities. So, that suggests that we’ve been on the right track, but I think we’ve got a lot more progress still to be made. There’s an awful lot of interest around experiential learning and service learning, and that too is something that I have been a champion for as dean and now president. And that relates actually to my two other passions. One is the city and taking better advantage of our fortunate location — or locations — in three parts of the Greater Toronto Area for the benefit of our students. So many students want some kind of internship experience or a co-op or a professional experience here, or a service learning experience in a course, or some other variation on that theme. And we’re very fortunate to be situated in this place, which offers so many rich possibilities. So how do we do more of that for our students? Whether it’s in the classroom experience or part of a research project or an internship. Recognizing that when we do so, we’re not only enriching the experience for students and better preparing them for whatever comes next, we’re also helping them help the city, working with community-based organizations and neighbourhood groups or public agencies, so we can serve dual objectives. And the same goes for research on the city. We have so much expertise here that can take… fuller advantage of the urban challenges and opportunities on our doorstep, and at the same time, help to advance various causes, whether it be improving public transportation in the city, something that we’ve been doing recently in connection with York, Ryerson, and OCAD; improving the public health issues; addressing income inequality; ensuring that newcomers, refugees, and others have an opportunity to really excel: and a whole range of other urban issues. So we’ve got a lot of expertise here in the university, and I want to do everything possible to make it more available to groups outside the city, in the city region, who can benefit from exposure to that. We’ve got a lot of expertise here in the university, and I want to do everything possible to make it more available to groups outside the city, in the city region, who can benefit from exposure to that. And the last thing is around our global connections and our global reach, picking up on what you were asking earlier with regard to Africa. I firmly believe that one of our still kind of underutilized strengths here is that we’ve got these great connections around the world to other universities. and here too. Not only is it great for our researchers to be able to work on big, hairy, tough global issues, together with colleagues from around the world, but if we can get students involved in that work as well, then there’s double or triple payoff because it broadens their horizons through an international experience. It gives them experiential learning as part of a research team and often changes their lives and their whole way that they look at the world. TV: Are you concerned that smaller programs, such as the Transitional Year Programme and Equity Studies for example, are you concerned that they will suffer if U of T concentrates its efforts on areas where it determines to be its strengths? MG: No, I’m not concerned. We have actually, in this budget, reinvested substantially in the Transitional Year Programme, and it is very much a part of our identity. One of the things about U of T of which I am most proud is our ability to combine our research excellence on the global stage with our accessibility and our openness, the fact that this is a place where 85,000 students study. It’s a very, very open place. Half of our students — more than half our students now — receive OSAP, receive financial assistance. There is no other university in the world as highly-ranked as we are that has that level of openness and accessibility. The closest neighbours would be in the California system. I know that UC Berkley is around 30 per cent financial aid; we’re at 54 per cent this year. I’m extremely proud of that part of our mission, and I see programs like TYP as being completely consistent with that part of our mission. Same with academic bridging and every other program we have in place that makes it easier for students with disadvantaged backgrounds to come and study here. So the other thing, just more generally, we have a kind of broad understanding that there’s some programs that will pay their own way in terms of having sufficient numbers of students, and others that won’t. But that’s the essence of a university, and it’s the essence of a university like this one, which is a broad, comprehensive institution and draws its strength from that breadth. TV: I’m conscious of your time, so this is going to be my last question. Have you ever smoked marijuana? MG: I have! A long time ago. I didn’t particularly enjoy it. But yes, I don’t think there’s anyone in my generation that hasn’t. I was not a particular fan of it, to be honest.